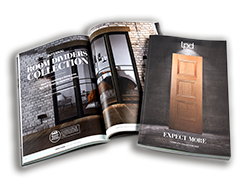 Leeds Plywood & Doors Limited, hereafter referred to as LPD LTD, is a leading importer and distributor of doors and furniture, with offices located in Leeds in the UK. We offer a range of quality doors and furniture and deliver market-leading customer service. We want to give you clear information about what information we collect and how we use it. This privacy & cookies notice applies to the use of personal information and other information used by LPD LTD.
Any member of the LPD LTD group may use and share, within the group and with its advisors, the information you provide and other information it holds about you for the purposes set out in LPD LTD’s privacy and cookies notice, applying appropriate security measures to keep your information safe and secure. Information you've provided to us, including through our websites and portals or when you request information on our products or services via email and or telephone. Information about our products and services you've ordered or enquired about. Information provided by other organisations who have obtained your permission to share information about you with us. Information we collect, via cookies and related technology about you and your business. This may include information about your device, machine or browser so that we can make sure you get the most relevant information on our products and services. This information may be collected when cookies are turned off. For more information on cookies and how to manage them, please see the section on cookies. Technical information from the devices you use to access LPD LTD websites or portals for example, location information. Note that devices and applications have their own privacy settings and notices under which they collect your information, so please check and manage your device and application settings. We may also monitor, record, store and use communications we have with you to improve the quality of our customer service, to confirm any instructions you give us, and/or for training and operational compliance purposes. We need your information so that we can, in accordance with the contract you have with us, provide you with any relevant product, deliver the best possible customer services and generally manage your enquiry, contract or purchase through our systems. This information may include use of your IP address, MAC address, port information, logical network address or similar operational or technical information about each device you use to access LPD LTD’s website or portal. This information is held securely within restricted areas accessible only by authorised personnel and in accordance with our data retention deletion and acceptable use policies. To monitor, improve and protect our products and services, work with our agents and business partners to improve the products and services we offer, and develop new content, products and services. To help us define groups of audiences to send marketing/mailshots to, based on factors like interests, age, location and more, so we can show marketing/ mailshots to the people most likely to be interested in the products and services being promoted. To send you periodic generic mailshots and other information about our products and services you have chosen to be informed on or are entitled to receive. We may send you direct marketing communications by post, telephone, SMS, email or other electronic means, using the contact details you have provided to us to inform you about our latest products and services developments, events and special offers. We send you this information, where it is applicable for us to do so, for a reasonable time after you have enquired about our products or services or ceased to be a customer of ours (see further details below). We may share your information with any successors of the LPD LTD group for them to use for the purposes set out in this privacy notice. We may use and share your information with credit reference, fraud prevention agencies, and other companies for use in credit decisions, for the detection and protection against fraud and other crimes, and debt recovery purposes. If false or inaccurate information is provided and fraud is identified, the details will be passed to fraud prevention agencies. Law enforcement agencies may access and use this information. We may also access and use this information to prevent fraud and money laundering, for example when: checking details on applications for credit and credit related or other facilities; managing credit and credit related accounts and facilities; recovering debt; checking details on proposals and claims for all types of insurance; or checking details of job applications and employees. We and other organisations may access and use from other countries the information recorded by fraud prevention agencies. Please contact us if you want to receive details of the relevant fraud prevention agencies. Please note that we may need certain information to enable us to provide you with the products services you ask for, so changes you request to your data or restrictions you ask us to make on how we use your data may affect what services we can provide. In order to identify you we will require a reference number, email address or postal address so we can identify you on our systems in order to amend or delete all or part of the information we hold about you, as you instruct. Please refer to the LPD LTD Cookies Notice. If you don't want any information processed through the use of online cookies, please see the section on "Controlling my Cookies". You should be aware that when you access or use our content or applications, we may collect information from the devices you use to receive this information, by using 'cookies'. We also collect such information from third party websites, mobile sites and from applications where we show our own adverts, using cookies and related ad technology. Cookies are small bits of text that are downloaded to the devices you use to receive LPD LTD content and access online information. Your browser makes these cookies available every time you visit the website again, so it can recognise you and can then tailor what you see on your device. Cookies are an important part of the internet. They can make using devices and accessing online information much smoother and affect lots of the useful features of websites. There are many different uses for cookies, but they fall into four main groups. Some cookies are essential to help your devices download or stream online content or enable you to move around websites and use their features more smoothly. Without these cookies some content you request may not be accessible. Session cookies make it possible to navigate through the website smoothly. Keeping you logged in during your visit or enabling you to view content; without cookies you might have to log in on every website you visit or repeatedly adjust some settings such as your volume and viewing settings. Restricting the number of times, you're shown a particular advertisement. This is sometimes called 'frequency capping'. We like to keep track of what websites, information and links are popular and which ones aren’t, this help us keep our information relevant and up to date. It's also very useful to be able to identify trends of how people navigate our information and when and where 'error messages' might occur. This group of cookies, often called 'analytics cookies' are used to gather this information. The information collected is grouped with the information from everyone else’s cookies. We can then see the overall patterns of usage rather than any one person’s activity. Analytics cookies are used to improve how an application or website and its pages work. Our applications, websites and communications you get from us contain small invisible images known as 'web beacons' or ' pixels'. These are used to manage the interaction between you and the online information or email and allows us to assess the effectiveness of the communication. We do not sell personal data collected from cookies to any other organisations. Most modern browsers allow you to see what cookies you've got, and to clear them individually or clear all of them. To find out how to do this, go to aboutcookies.org, which contains comprehensive information on how to do this on a wide variety of desktop browsers. In addition to the controls available on your computer, there are other ways of choosing not to receive Online Behavioural Advertising and other tracking cookies. Please note that most of these choices work by setting a cookie that overrides the behavioural advertising cookie. If you clear all your cookies, you will also clear these opt-out cookies, therefore changing your preferences. In this instance you would need to choose again. Internet Advertising Bureau (IAB) “Your Online Choices” page. This allows you to choose not to receive behavioral advertising from each of the advertising networks represented by the IAB. Network Advertising Initiative (NAI) opt out page. This allows you to choose not to receive behavioural advertising from each of the ad networks represented by the NAI. We retain your information in accordance with our companies information security, data retention and deletion policies. These set out the criteria we use to determine how long we keep your information, what measures we put in place to keep your information safe and secure, and with whom we may share your information. When deciding what to retain, we take into account what information we need to best provide you with products, goods and services, manage your relationship with us, meet our statutory obligations and meet our customers’ and previous customers reasonable expectations. If you wish to make a complaint about how we use your information, please contact us here and we will do our best to help. You may find our Customer Complaints Code of Practice helpful. If you are still unhappy, you can contact the Information Commissioner’s Office via their website. We will occasionally update our privacy and cookies notice. We will post a notice of any material changes on our website prior to implementing the changes, and, where appropriate, notify you using any of the contact details we hold for you for this purpose. This may include phone, SMS, e-mail, post or interactive social media. We encourage you to periodically review our notice to be informed of how we use your information. This privacy and cookies notice was last updated May 2018.